The Difference between Expression and Equation. 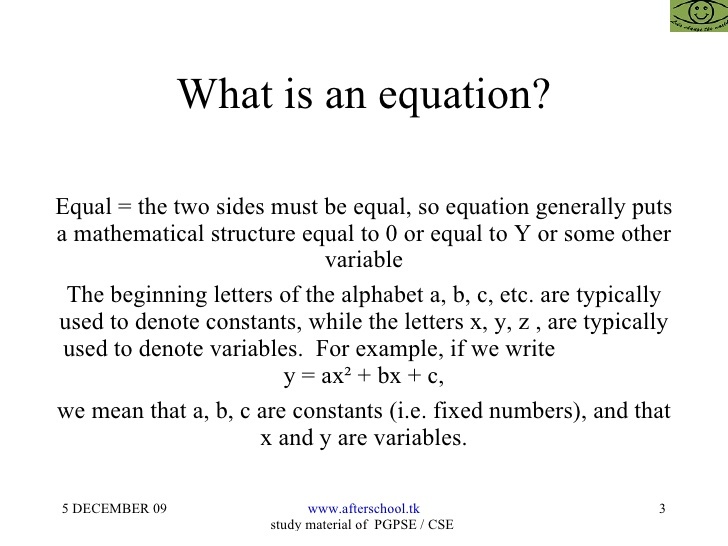 The difference between expressions and equations are that expression don't equate to something, where an equation does. 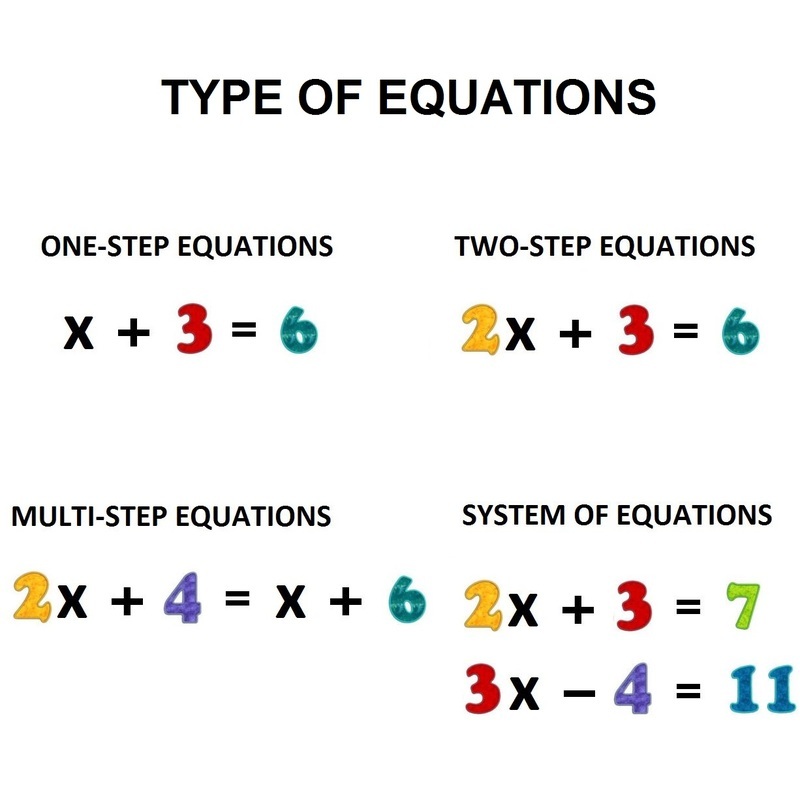 You can use expressions to create equations. ex. 5x+8 is an expression, while 5x+8 = 15 is an equation. Equation: A number sentence that involves operations and numbers and contains an = sign. 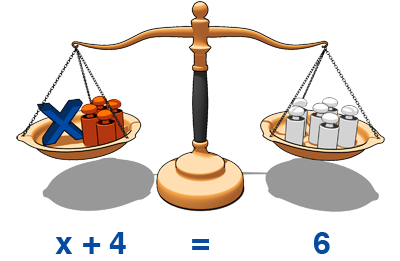 Both sides of the equal sign must have the same value. 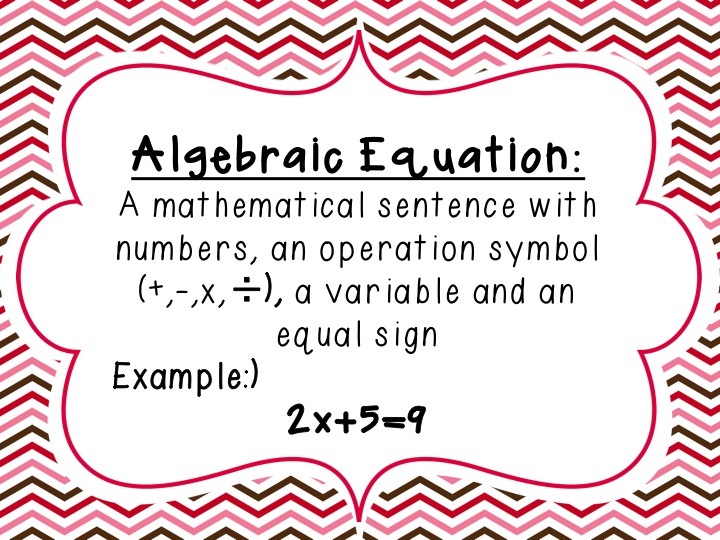 Algebraic Equation: A number sentence that contains at least variables, operation, and numbers whereby both sides of the = sign have equivalent values. Modelling Equations with Algebra Tiles Jostie & The Dangers of Algebra. – ALGEBRA I – Unit 1 – Section 2 Translating Problems into Equations and Solutions Solving word problems can be one of the trickiest processes in Algebra.